Be sure that you explain what a clothes swap is in the info section of the evite. Many people are apprehensive about swaps because they have no clue what to expect. Depending on the kind of atmosphere you want to create, you need to pick your location wisely. 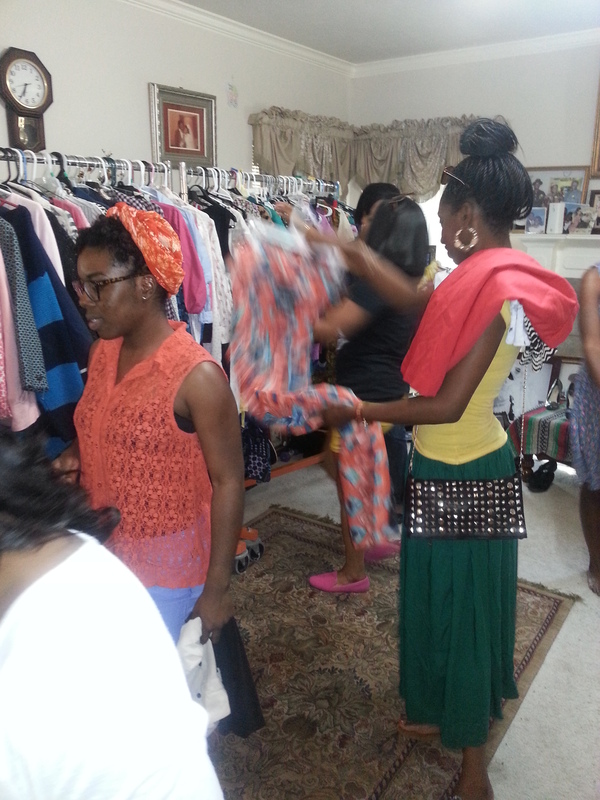 I have been to a clothes swap in a small boutique with strangers (as an attendee) and I’ve hosted many in living rooms of homes with friends. Both were entirely different experiences. The boutique was interesting because I was getting to shop in strangers’ closets. It was nice to meet the other ladies and sample treats from local vendors. 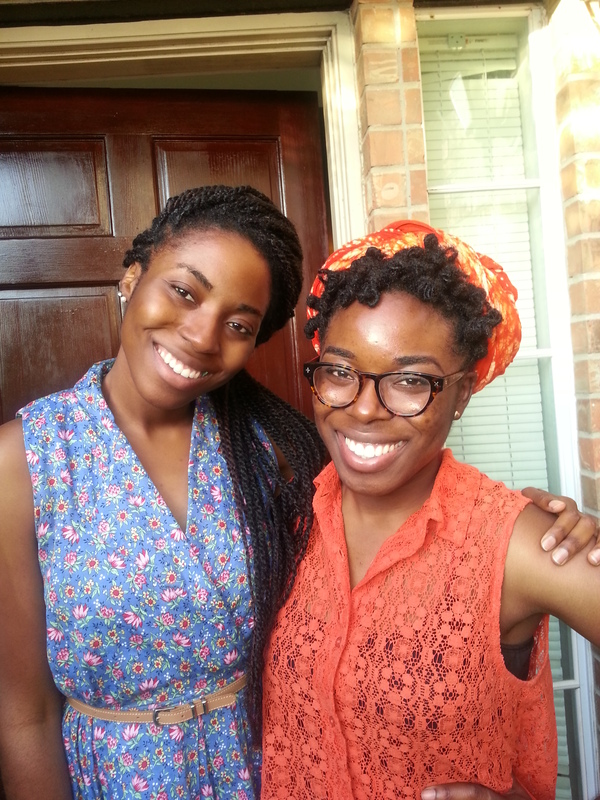 The swaps I had in homes felt comfortable and fun. 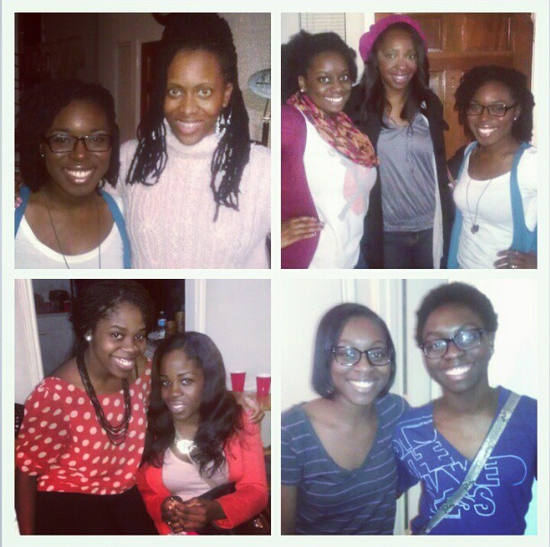 I saw old friends and made new ones. I have concluded that there is no right or wrong location for a swap. You simply need to find a space that is big enough to store and display the clothing, a mirror for guests, and perhaps a private area (like a restroom) where they can try on clothing. Another thing to consider is the size of the venue. In my experience, it’s best to over-invite. Cancellations are expected of any event. On average, I have about 15 guests at my swaps. This is a good number for such an event. 15 people will provide variety among the clothes, yet it is a small enough number for the event to still have an intimate feel. 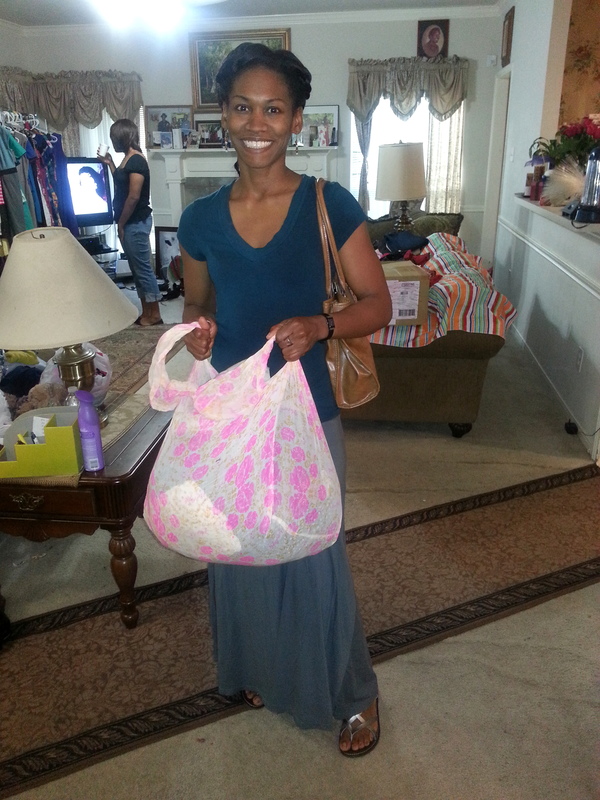 Make sure the venue can hold the number of invited guests and their belongings. 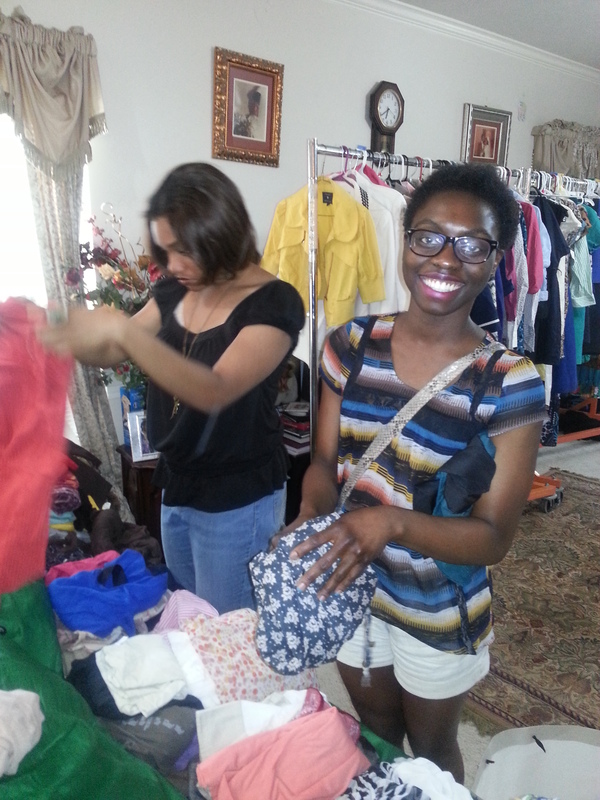 Some guests, like my friend Bunmi, prefer to donate their items before the event. 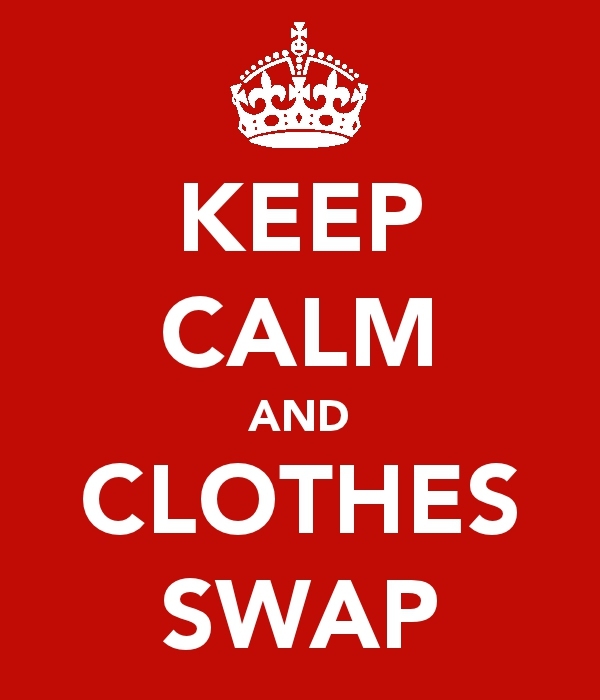 There are a number of ways to get clothes to your swap. First, look in your own closet. Purge it of any items you no longer wear. 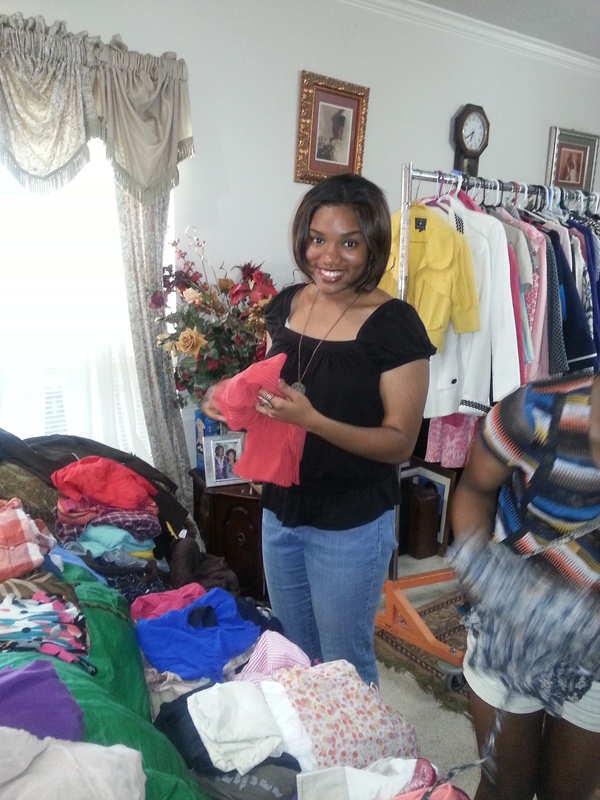 Wash the items and put them aside for the swap. Then you can send a reminder to your guests to start putting aside some items about a week before the event. Guests often ask me what to bring. I throw the question back to them. 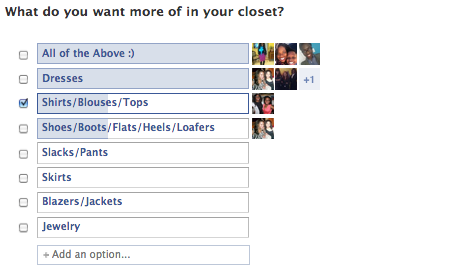 Here’s an example of the poll I posted on the Facebook event. 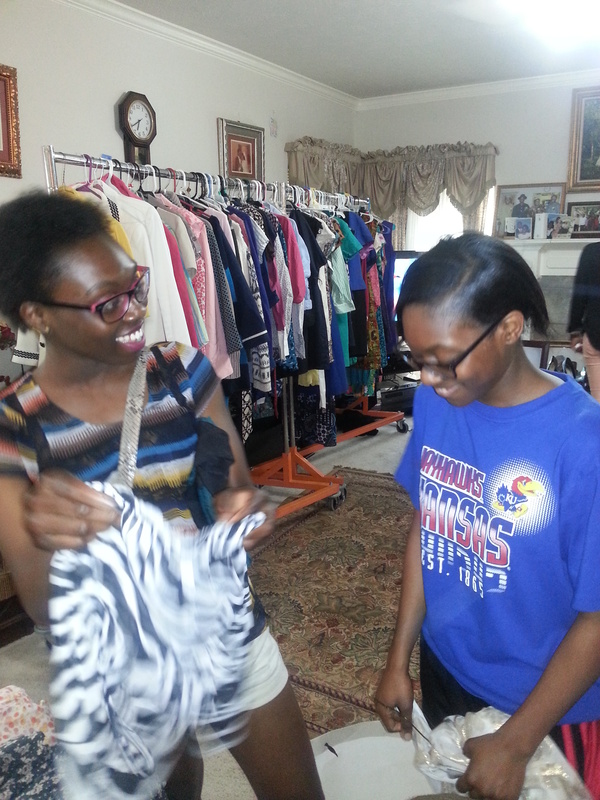 Most guests opt to come to the event with their donations in hand. I asked my guests to bring a minimum of 5 items. 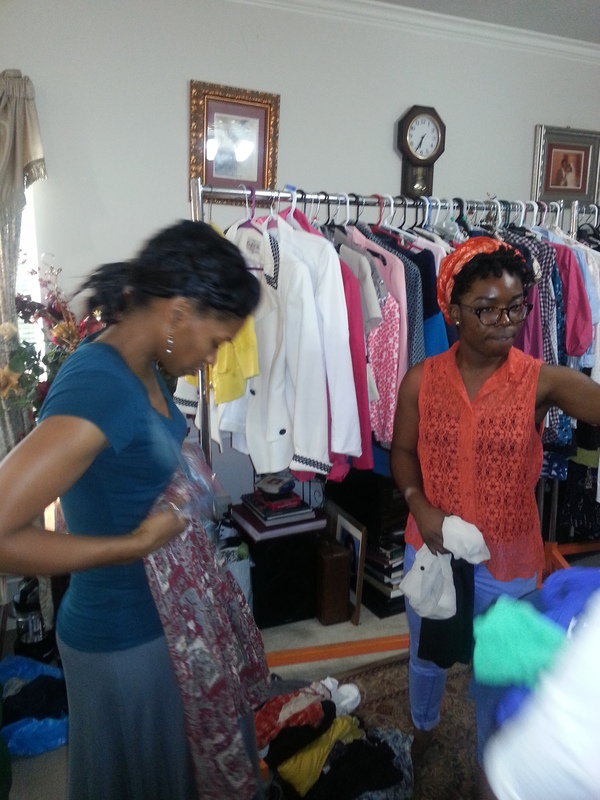 You and your guests should set aside the first 15 minutes of the swap to sort through the clothing. My guests and I enjoyed some light snacks while we waited for the swapping period to pass. The snacking continued as the swap went on. 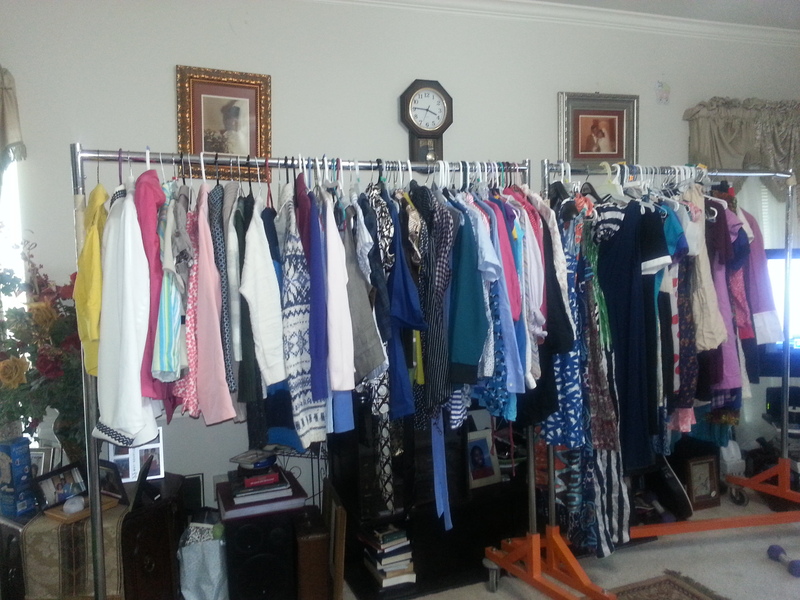 Tip: Use racks and hangers, if possible. If everyone sorts and organizes what they brought, the process is much faster. Tip: As the host, you can help your guests shop. Option #1: One-for-One trade- This means that the more you bring, the more you get to trade. 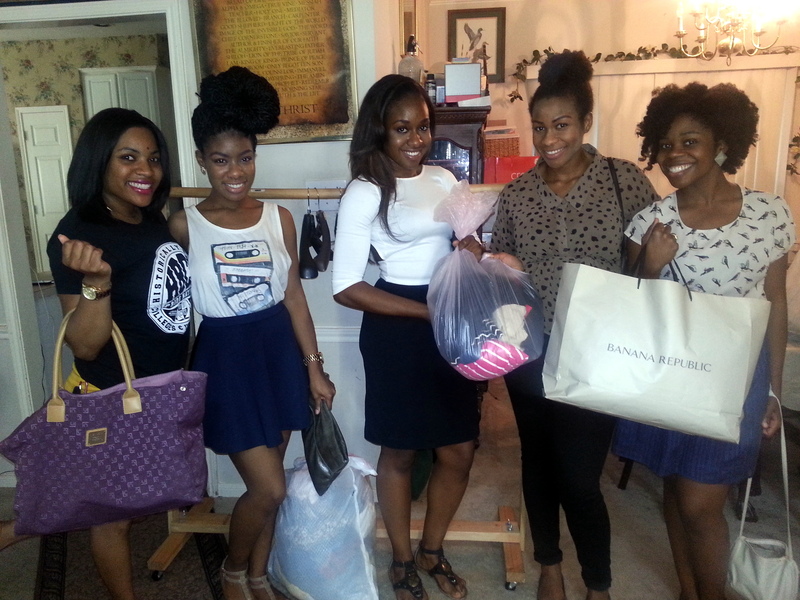 Option #3: Free-for-All– Everyone can shop to the hearts’ content, regardless of how much they brought. All of my swaps have been free-for-alls. I have never had anyone complain or fight over clothes. The free-for-all has the potential of appearing a little chaotic, but as long as your guests put back the items they don’t want, this option is a lot of fun. 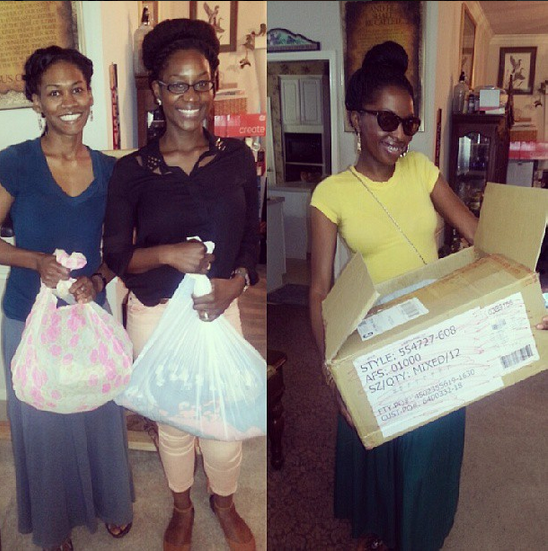 Tip: Donating to a thrift store you often shop at is a great way to give back. If the donation is big enough, it just may help you out on your taxes. 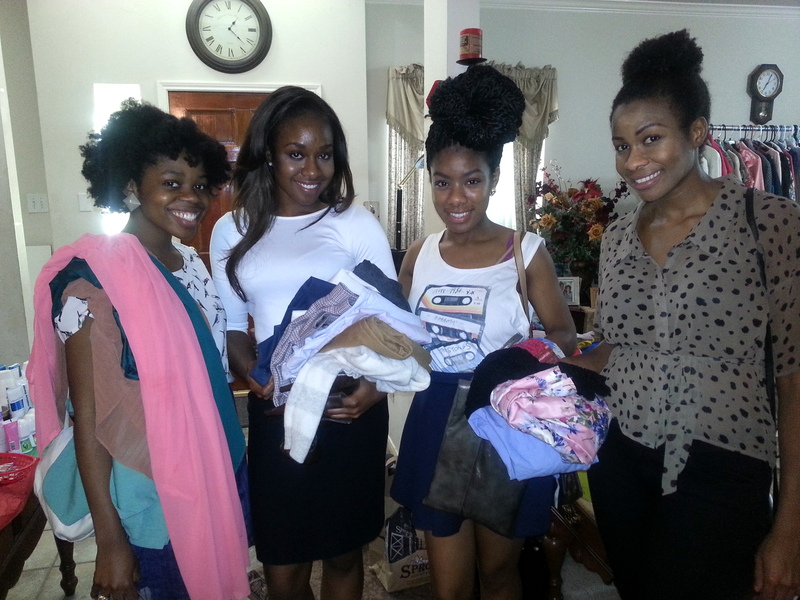 Planning a clothes swap might take some work, but you and your friends will get more out of it than you put in. Give it a try! 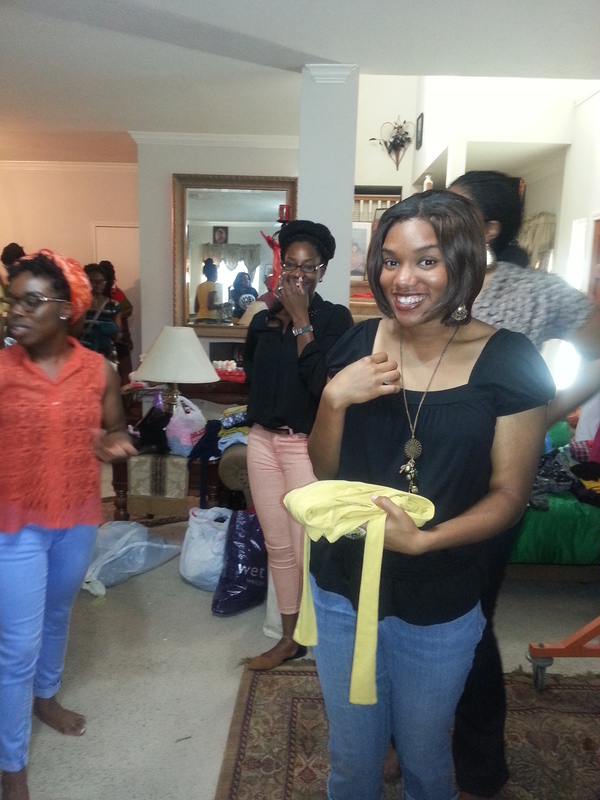 This past weekend, I threw what must have been my 6th Clothes Swap. 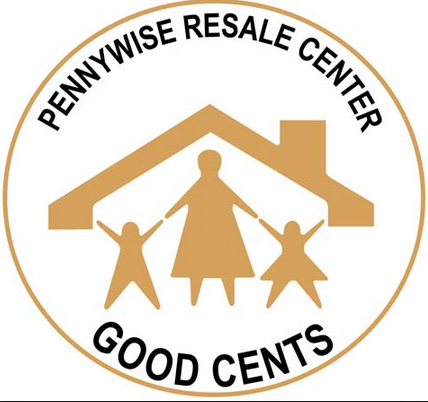 When I started planning for the swap, I reached out to Pennywise Resale Center, one of my favorite thrift stores in Houston. I have been shopping at Pennywise for years, so naturally it came to mind when I was thinking about what store to donate the remaining clothes to. Few people actually know about Pennywise’s philanthropic efforts. Pennywise is dedicated to “Assisting survivors of domestic violence and sexual assault and their children.” I sat down with Liz Moreno, the chairman of Hispanic Business Division- Fort Bend County Womens Center. I was impressed by the great work the Fort Bend County Womens Center, in conjuction with Pennywise, is doing to help the survivors of domestic violence and sexual assault in the city of Houston. Keep an eye out for my upcoming feature on Pennywise. 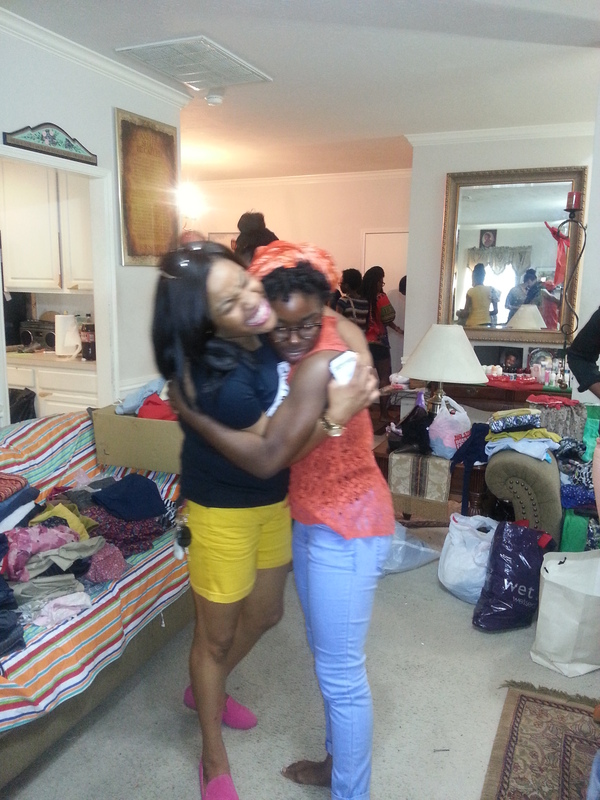 I had a blast organizing and hosting the clothes swap. It’s one of those experiences you have to see to believe. My post today is mostly going to consist of pictures of the event. Enjoy! 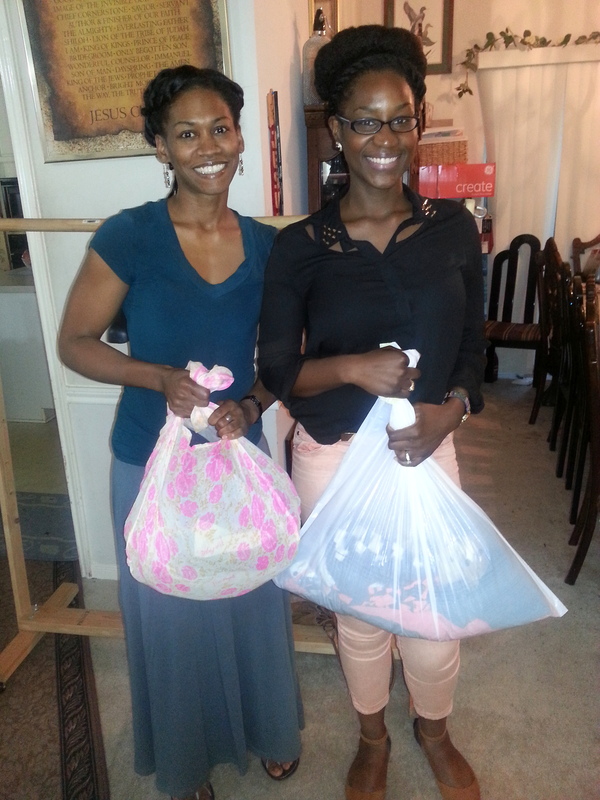 The guests came bearing donations. It was a chance to hang out and make new friends. 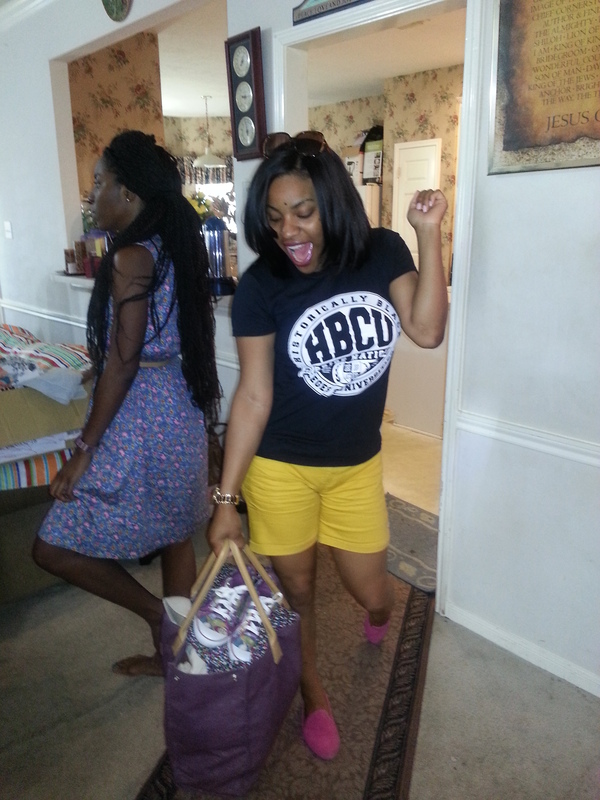 Guests always leave satisfied and happy, knowing that their shopping spree didn’t cost them a dime. Special thanks to my sisters, Mom and Dad for helping with setup and tear down of the event. Shout out to Pennywise for letting us borrow the giant racks to put the clothes on! 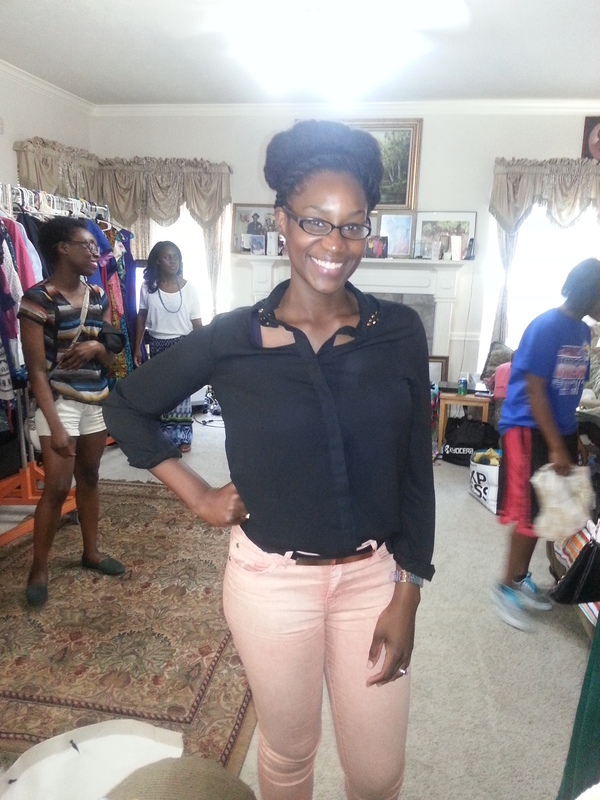 I brought a lot of clothes to the swap and found some great pieces at the swap. I honestly prefer clothes swaps to thrifting. They are a great way to introduce new items into my closet without going broke. Now that I’m moving up North for graduate school, I’m changing up my style quite a bit. 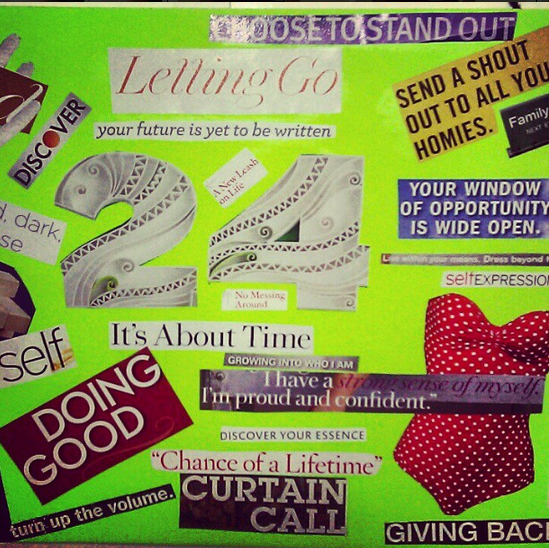 This swap helps me, but it helps others even more. 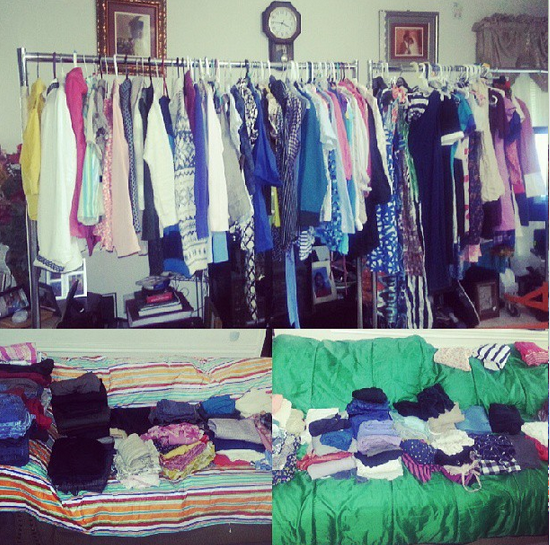 At the end of the swap, we had more than 500 articles of clothing left. 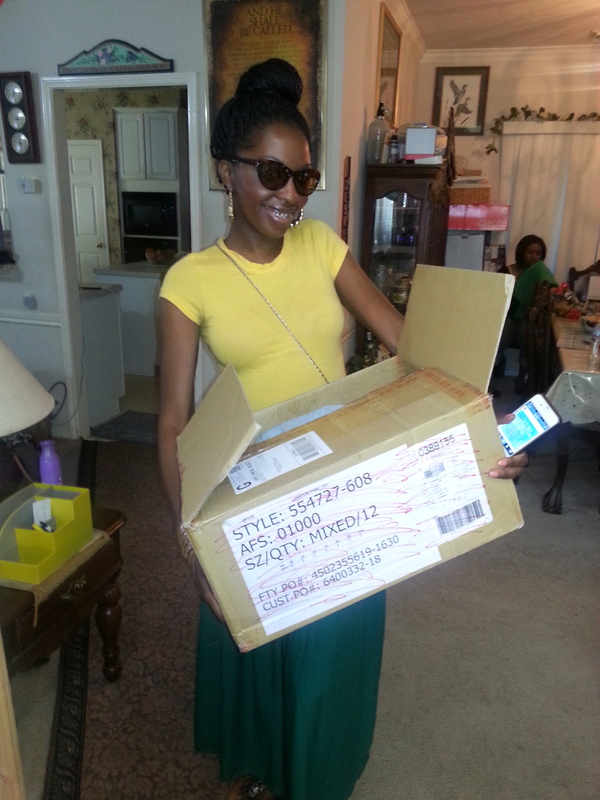 Because I donate all the proceeds to a charity, my love of clothes is doing a world of good to people I may never meet. That makes it all worth it. 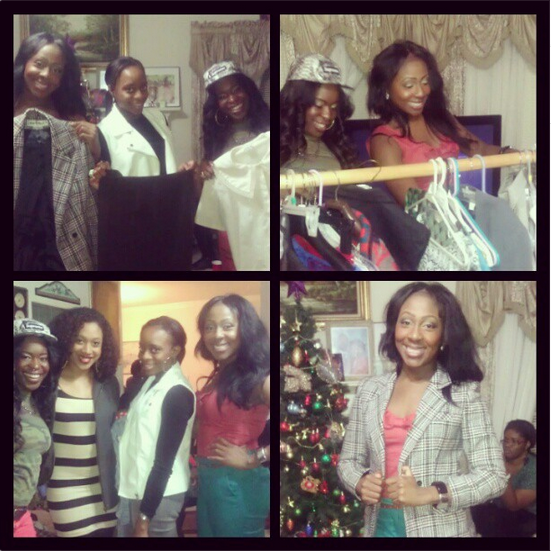 This last clothes swap of the year was about starting afresh. 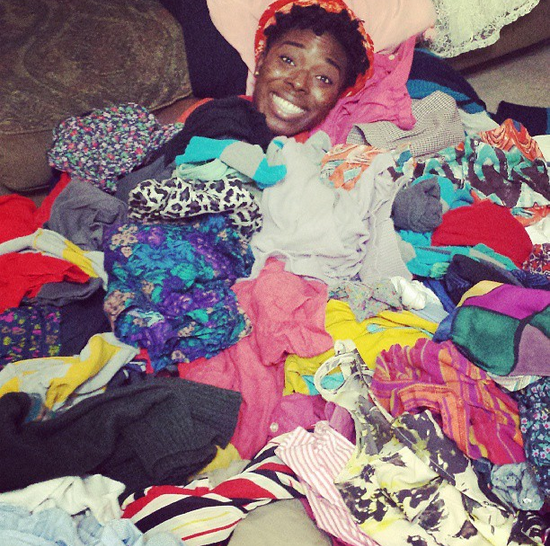 There were so many ill-sized articles of clothing in my closet that I had to get rid of. 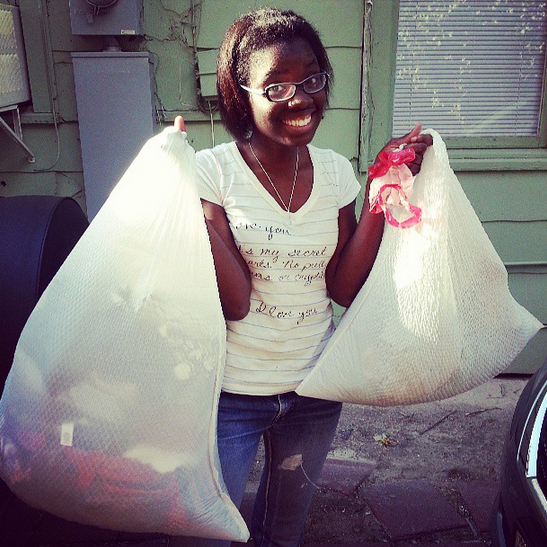 I realized that I couldn’t continue shopping and bringing new items into my closet without doing a clean sweep first. For a while, I thought I had a hoarding problem. I have way too many clothes in my closet; clothes I had no use for anymore. After I saw an episode of “TrueLife: I’m a HOARDER,” I realized that I gradually want to move towards a more minimalist lifestyle. It’s a slow process, but little by little, I can see more carpet in my closet. Don’t ask lol. I’m also “reinventing” myself like I do every Spring, so some of my old digs have gotta go. Here is the preliminary stage of the swap. 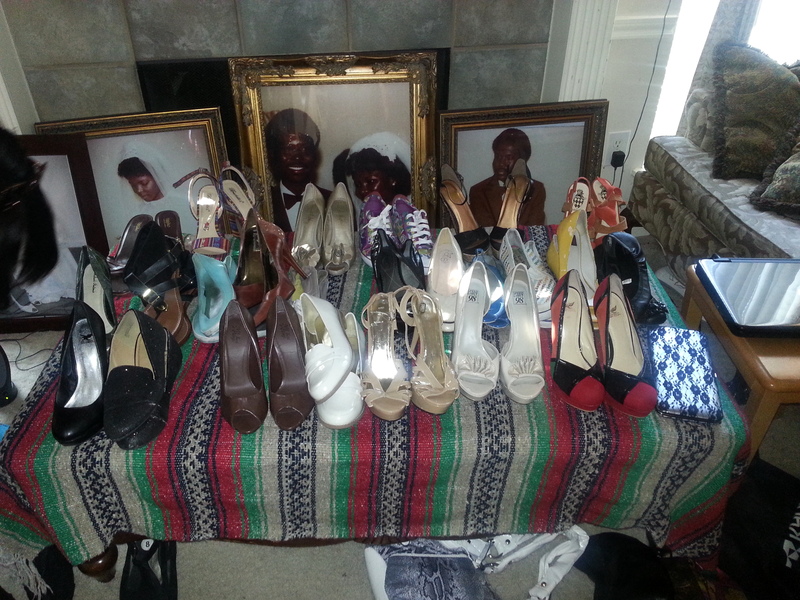 My own (and my sister’s) donations waiting for my guests to add to the pile. Friends came by. 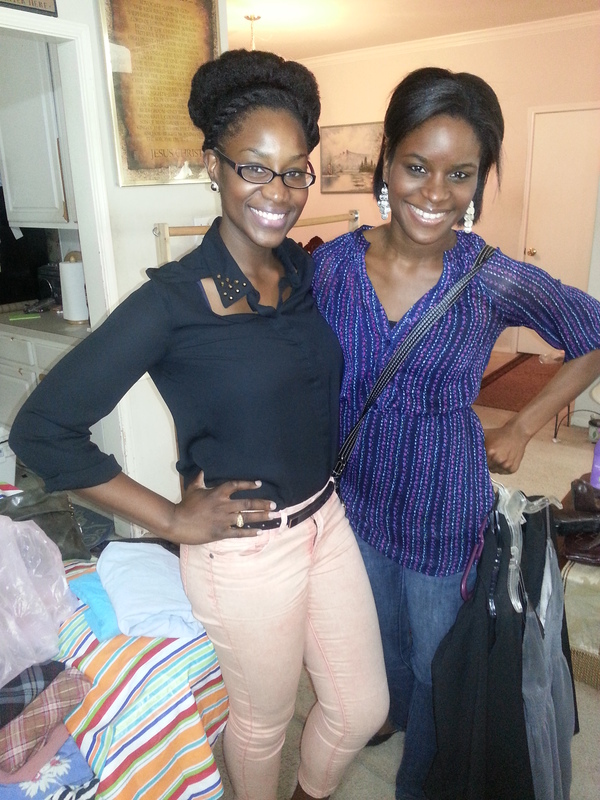 We shopped, swapped, ate, and tried on clothes. As always, a blast :). The left over clothes went to a local thrift store that I frequent. It’s funny going thrifting and seeing things that I donated. It feels good to know I finally let them go. Now to attack the trash bags of clothes in the garage. Another day perhaps. 2nd Clothes Swap of the year. Out with the Spring, In with the Summer. Event coming soon. There will be pictures so you all can finally see one in action. 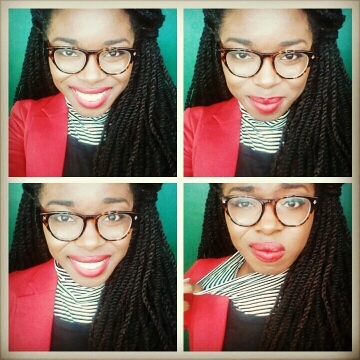 Are you in need of a fashion makeover but you have no cash to spare? 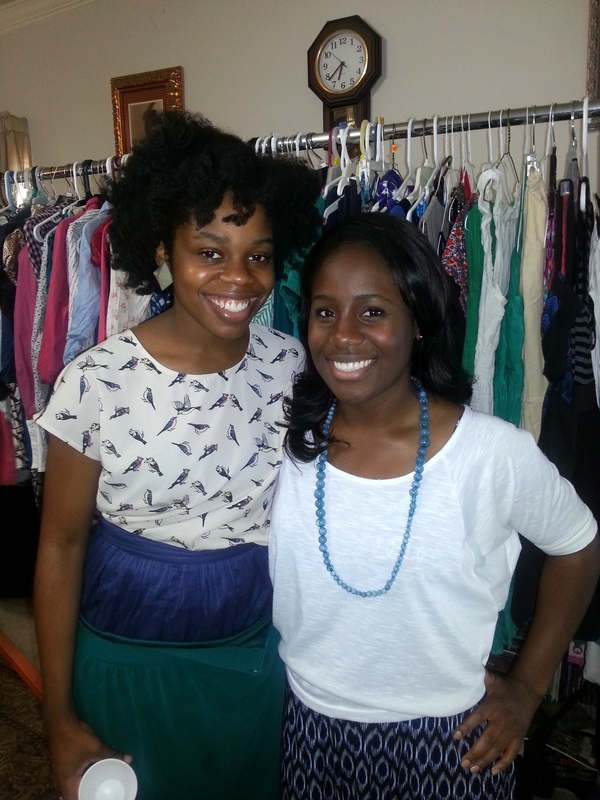 Have you ever wanted to shop in someone else’s closet? 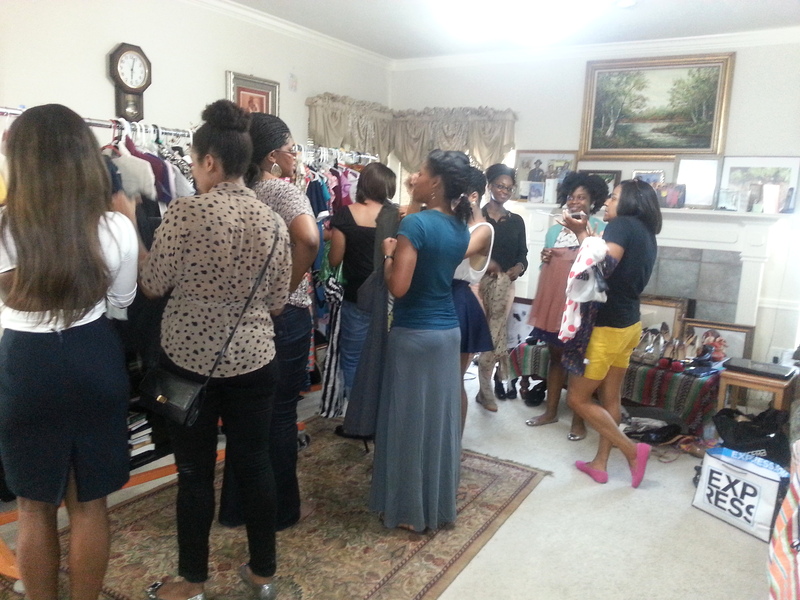 Well, you might just be the perfect guest at a Clothes Swap party. As someone with 2 sisters, I know there’s nothing better than snagging a few pieces from someone else’s closet to complete your look. 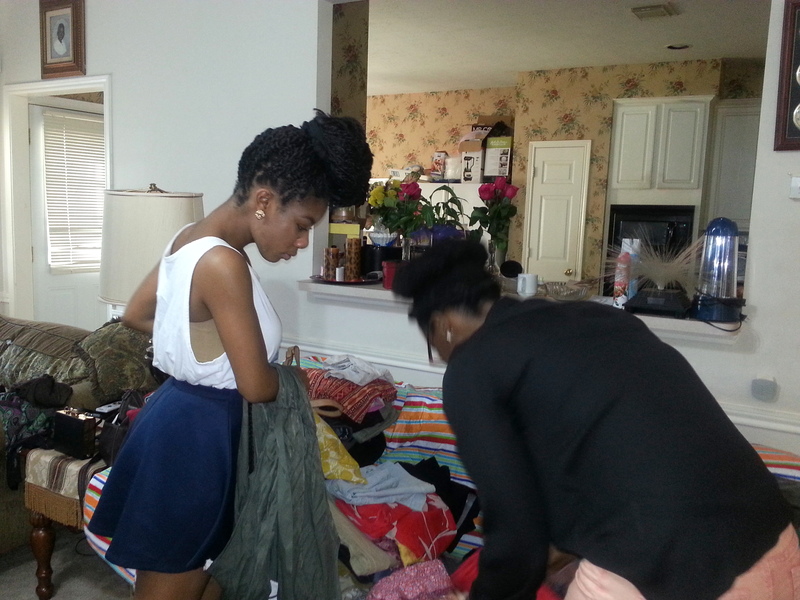 I have been throwing Clothes Swap parties with my friends for a couple of years now. I love them! I have had some people hesitate to come because they’re afraid they won;t have anything anyone will want. Little did they know that someone had been looking all over for some charcoal gray work slacks. You also make a lot of new friends. This is how my work friends met my church friends. My only motto is you’re welcome as long as you bring something. My favorite benefit is: It’s FREE!! It’s a great alternative to shopping. 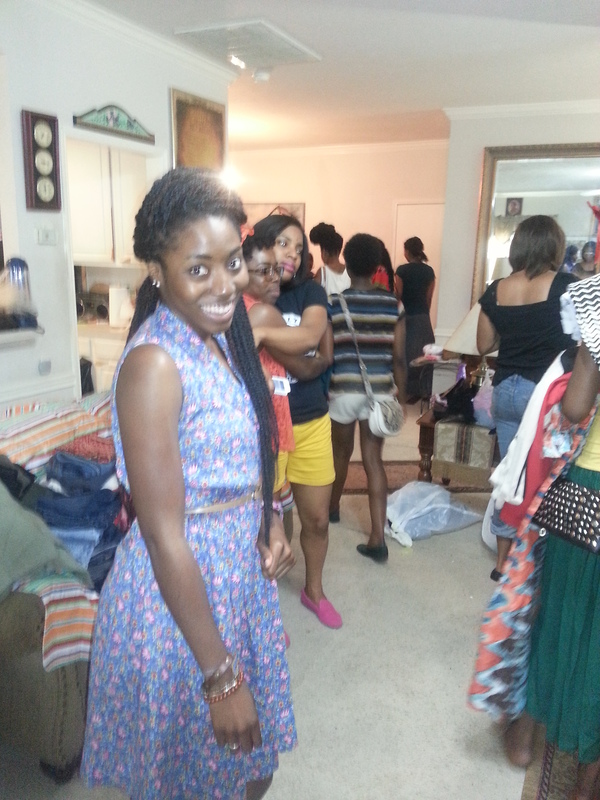 At the last one I hosted, I found everything from a zebra print blazer to a Kimono dress. “Free” is a style that works for everyone. Because it’s free you’ll be more likely to try on something you normally wouldn’t. Although some fancy places choose to charge admission, I prefer to have free admission into the Clothes Swap Party. I highly doubt anyone is going to pay money to sit and try on clothes in my living room. It’s a fun time for my friends and I to mingle and shop. 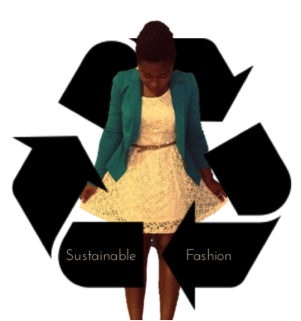 My goal is to not shop until my Clothes Swap on March 3rd, but we’ll see what happens. 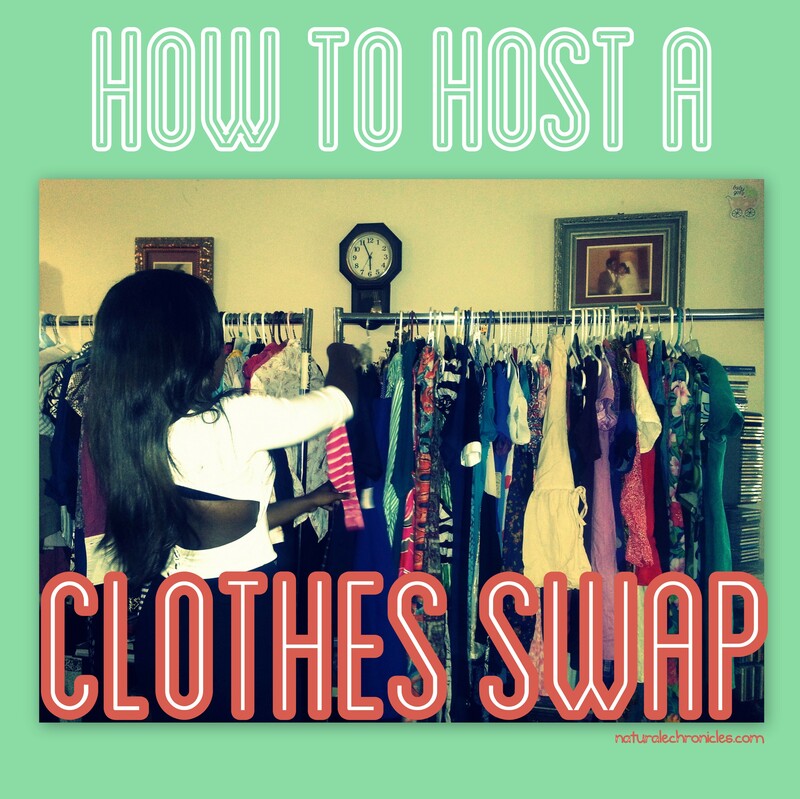 If you think you’d like to host a Clothes Swap, check out this awesome party guide on how to host one. Everyone who knows me knows that I re-invent my style in some way. Recently, I’ve been digging the tv series Mad Men’s 50s-inspired style. 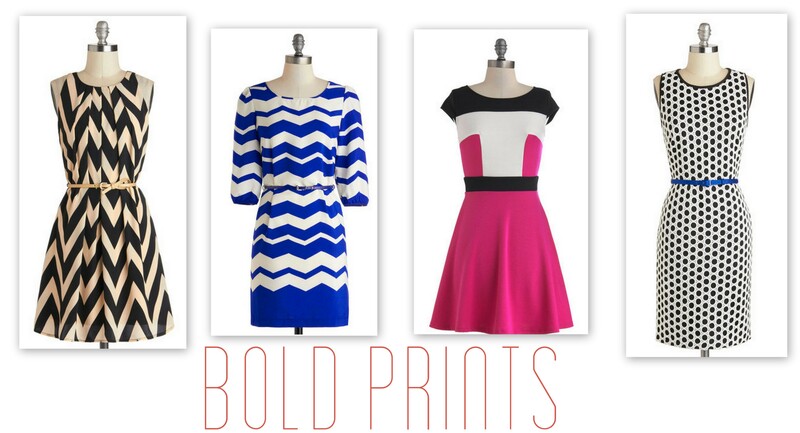 I love the bold prints and patterns, the full skirts, the clean feminine lines of the clothing, and the classic pieces. 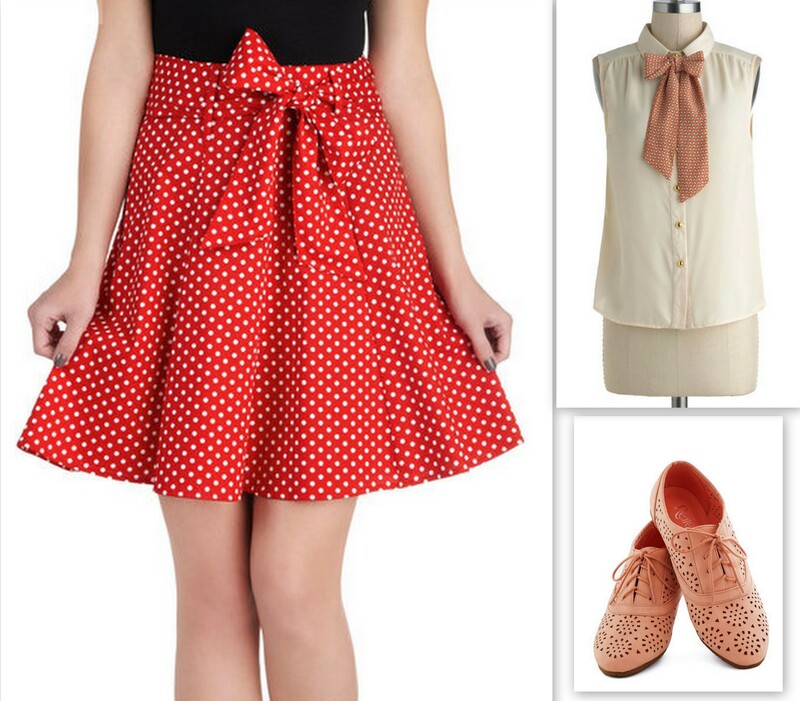 From head to toe, this mod style is womanly and playful at the same time. 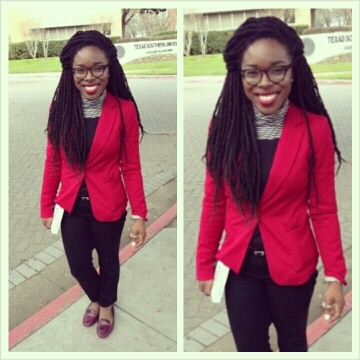 As I transition into graduate school, I will be revamping my style once again. 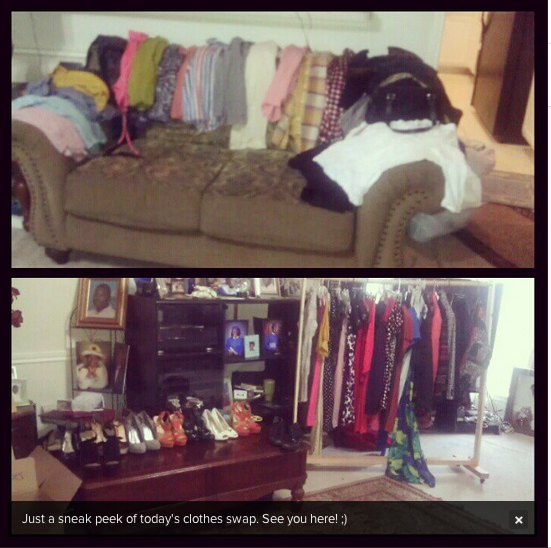 My upcoming clothes swap will be my last one in Houston. This time I know exactly what I’m looking for in the swap. Thankfully, I’ve already thrifted a lot of full skirts, colored pants, bright tights and interesting flats into my wardrobe. Now I just need to introduce some printed tops and flirty dresses. Some new jewelry wouldn’t hurt. This grey baby doll dress was from my last clothes swap. 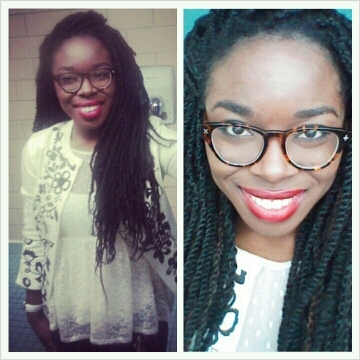 I paired it with a lace removable peter pan collar. I’m actually wearing two pairs of tights for a double layered look. 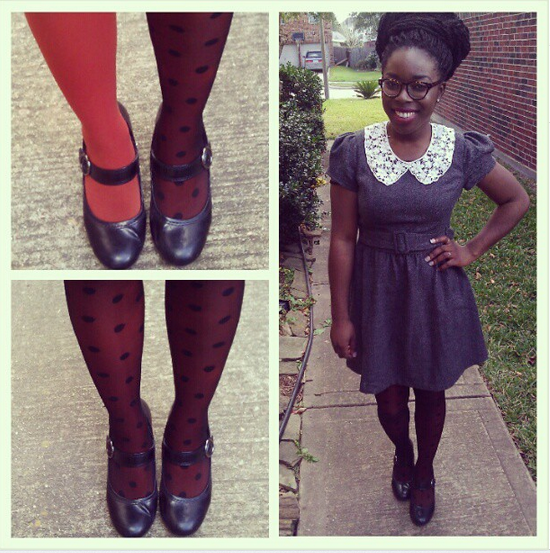 I got the burnt orange tights from Target and wore some sheer polka dot tights on top. I’ve been loving this layered tights look. 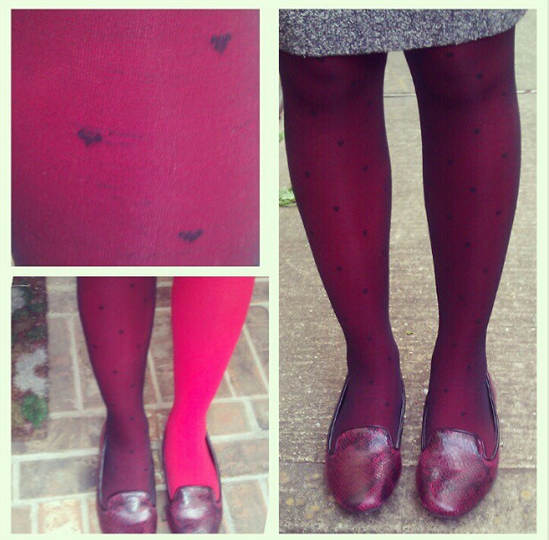 It makes colored tights look a little more sophisticated. I wore my Mary Janes to complete the look. I did the layering tights trick again. This time with my Apple-Red pair plus sheer hearts pair. The result is a wine color. 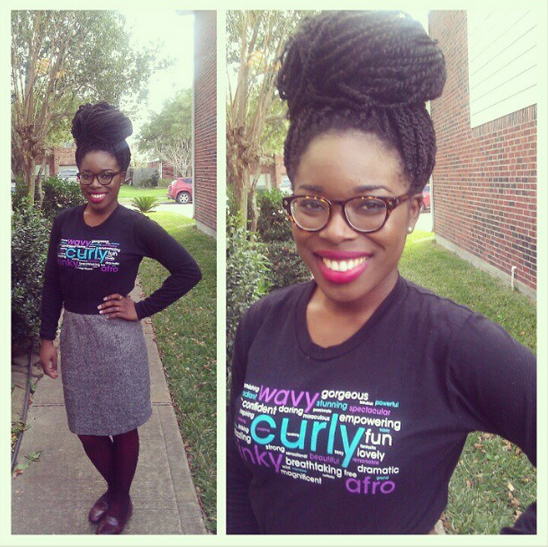 I wore a long-sleeve tee that I got from Naturallycurly.com a few years ago with a grey skirt and wine snake-print loafers. 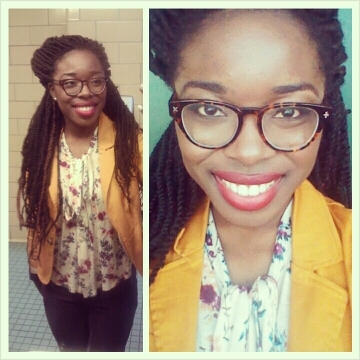 ^ This was my outfit for when I hosted a Natural Hair Conference over the weekend.